It was such an honor to deliver the convocation address at my old prep school this past weekend. An early morning on Lobuche with JBD. "Rest days" at Everest Base Camp. Next week I’m off to Kenya where I’ll attempt to climb Batian via the North Face route. Mt. 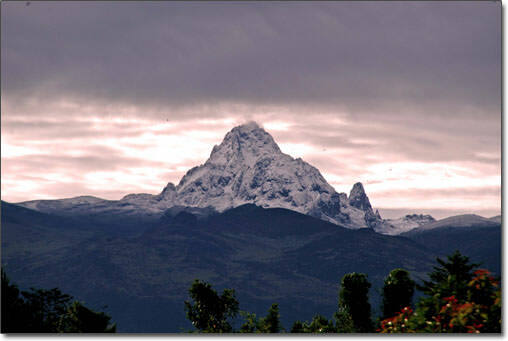 Kenya, the second-highest mountain in Africa, stands at 17,057 ft (5,199m) at it’s highest point, Batian. This will be my first time back in the hills since Everest season, and my excitement is at an all-time high! Although Mt. Kenya is much lower than Everest, climbing to the true summit is far more technical. The total climb will last seven days trailhead to trailhead allowing me just enough time to acclimate and wait for an optimal summit window. Summit day is a 12-16 hour slog involving 20+ pitches (up to 5.9) of alpine rock climbing at altitude. To an experienced rock climber, this is nothing, but I am not a rock climber which is precisely why I was attracted to this challenge. I have climbed rock, yes, but while doing so I have been told that I resemble Clark Griswold in the Vegas Vacation Hover Dam scene. I will be posting audio dispatches along the way, this shall be interesting. River day with my boy Jack!